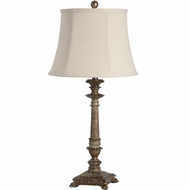 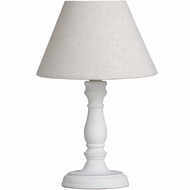 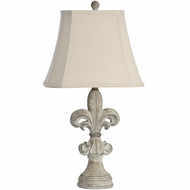 The Cyrene Table Lamp has a great antique look with a gently distressed finish and a beautifully carved base. 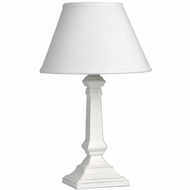 The simple lampshade adds an elegant touch and diffuses the light softly. 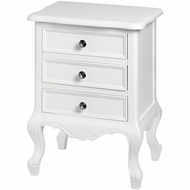 Perfect for both modern and traditional homes.